Royal DSM, a global science-based company in Nutrition, Health and Sustainable Living, has announced the strengthening of its leadership in sustainable, innovative resins & circular economy solutions with the successful expansion of its production capacity of its sustainable liquid polyester technology and other specialty resins, through the operational launch of a new state-of-the-art polyester production facility in Meppen, Germany. This completed expansion follows the strong growth in our can and coil coatings segment in recent years, with growth driven by the market shift from epoxy-based packaging coatings toward new more sustainable bisphenol (BPA)-free solutions. 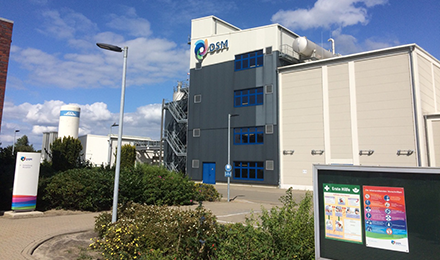 DSM’s new facility will enable greater supply flexibility and security, the ability to meet growing customer demand and address customer needs, as well as improving DSM’s own inventory management and positively contributing to DSM’s working capital management. In addition, the investment in new technology underlines DSM’s commitment to the production of high-quality products and economic incentives in the region of Meppen, which links the economic areas of northern and central Europe.